The recent real estate boom in California has slowed down, but depending on the area you are looking to buy in, that housing market has, for the most part, remained flat to modest in price appreciation in high-demand Class A neighborhoods. Although it has a national and state temperature, real estate is actually incredibly localized, meaning you could have tremendous demand for beach property (considered an “A” neighborhood) while at the same time minimal demand for a property on the outskirts of a big city such as Los Angeles where the neighborhood would be considered up-and-coming, or in some cases, a little sketchy. Many first-time home buyers have succumbed to sensational media reports that we are in a big real estate bubble that is about to burst. Many people seem to be unconsciously hoping that real estate prices will crash, so they can make up for the great real estate years they missed. The sad truth is that although short-term interest rates have steadily increased in small increments over the last two years, interest rates are still historically low. At this time, a 30-year fixed loan is hovering around the 6% mark, meaning there is still affordability at current lending rates. Plus, the underlying economics that we are currently experiencing support a slowdown in real estate price appreciation to more modest levels of 3-5% increases per year and potentially modest drops in low demand, less desirable areas. This is quite a shift from the double-digit-per-annum percentage increases we’ve seen in real estate prices areas across the state these last few years. But it’s very unlikely that this means we are on the verge of a crash. The California Association of Realtors predicted a 5% appreciation in the Los Angeles market for 2007, and has done the same for 2008. Whenever I ask the question to a group of homeowners and non-homeowners in California, “How many people do you know who don’t own a home who would like to own a home?” The answer is always 100% unanimous: everyone. When I ask, “How many of you agree that housing prices will go up in the next five years?” the answer is always close to 100% in agreement. Three key areas set the stage for price appreciation in real estate, low interest rates, a great job market and population growth. As discussed earlier, interest rates are still relatively low, unemployment is under 4% nationally, and in big cities across the Golden State, 30,000-60,000 new jobs were created recently. This is compounded by the fact that individuals from around the country are still headed west, with one million new residents arriving in California each year. These three factors are what keep savvy real estate investors shopping Class A neighborhoods in cities such as Los Angeles, San Francisco, Santa Barbara and San Diego. In fact, California is considered to be the fifth largest economy in the world, making it the most popular place to live and work in the US, primarily because of a great climate, a substantial job market, higher wages and a pretty fantastic lifestyle. 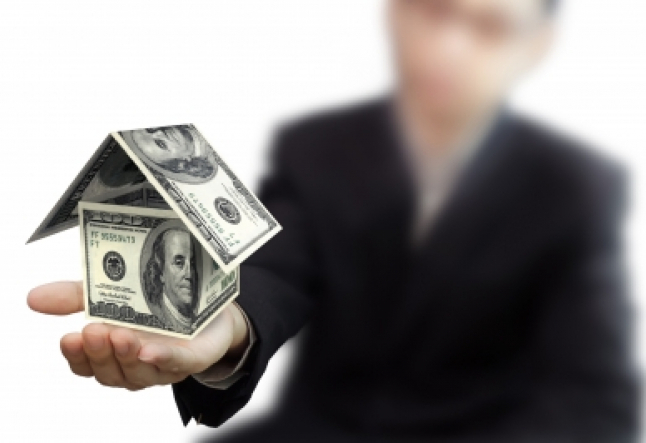 What are savvy real estate investors doing these days? They are shopping for great deals with the educated understanding that real estate always goes up over the long haul, and that now is an incredibly compelling time to be a real estate shopper in certain well-researched Class A neighborhoods because they have an opportunity to swing a great deal, meaning they may be able to buy a property under market value, make a better deal with a real estate agent, negotiate their closing costs and mortgage broking fees down, and, in essence, get a bigger bang for their bucks while we are technically in a buyer’s market. They’ll also be offsetting their tax payments to the IRS because the tax write-offs in real estate are considerable. Since 70% percent of the multi-millionaires in the US have been created through real estate, why not let their model for financial success work for you? In summation, more than 95% of the population is employed, interest rates are still low by historical standards, indicating affordability, and real estate always appreciates in good times and over the long haul. Why not step out of your financial comfort zone, challenge yourself to see the forest through the trees and take action to educate yourself on how to be a savvy real estate shopper? At least you can explore the possibility. Part two of this series, next, will discuss detailed, practical tips to consider when purchasing a property in the current market climate that will help you negotiate a better real estate deal, save money in the transaction process and help you make over.